Lock in a great price for ÜberFluss Apartments – rated 8.7 by recent guests! 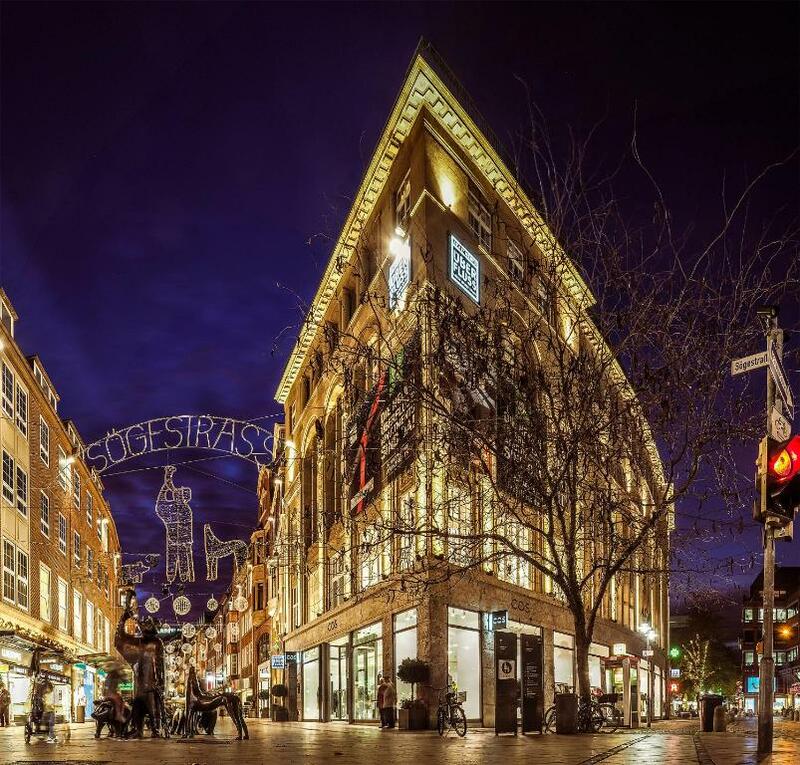 One of our top picks in Bremen.Located in the Mitte of Bremen, within 1.3 miles of Fairground Bremen and an 8-minute walk of Wilhelm Wagenfeld Haus, ÜberFluss Apartments provides accommodations with free WiFi. There's also a kitchenette in some of the units equipped with an oven and a microwave. A bicycle rental service is available at the condo hotel. Kunsthalle Bremen is 0.4 miles from ÜberFluss Apartments, while Schlachte is a 14-minute walk away. The nearest airport is Bremen Airport, 2.8 miles from the property. Mitte is a great choice for travelers interested in old-town exploration, restaurants and city trips. 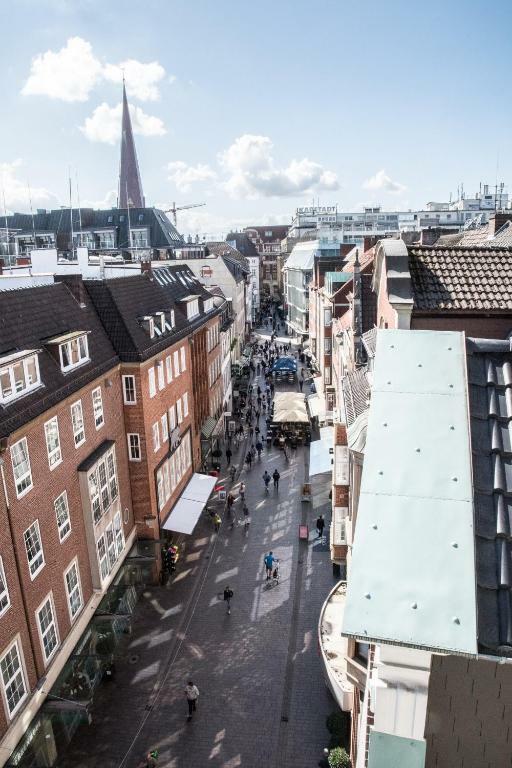 This is our guests' favorite part of Bremen, according to independent reviews. This property also has one of the top-rated locations in Bremen! Guests are happier about it compared to other properties in the area. 뀐 Located in the real heart of Bremen, this property has an excellent location score of 9.2! 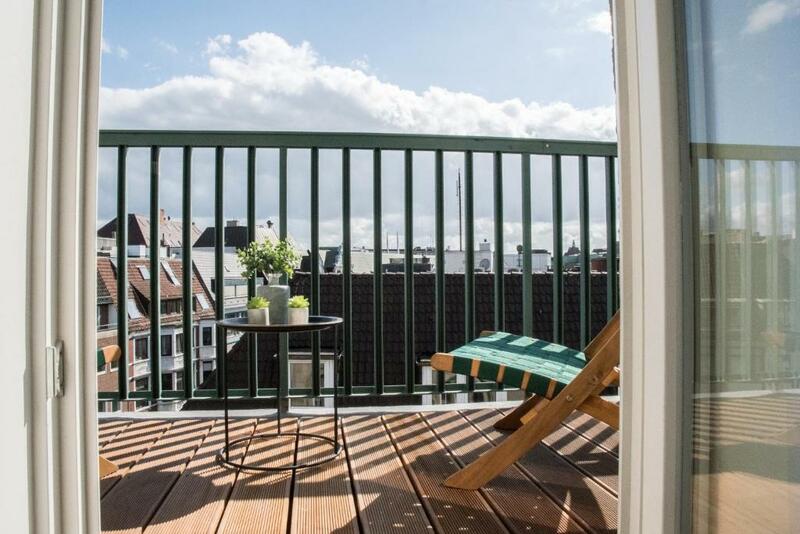 When would you like to stay at ÜberFluss Apartments? This apartment features a electric kettle. This apartment has a flat-screen TV and electric kettle. This apartment has a balcony and electric kettle. Unsere exklusiven Serviced Apartments bieten jede Menge Komfort für Langzeitgäste: Mehr Platz, eine vollausgestattetet Kitchenette, Zugang zu Waschmaschine und Trockner, eine Bügelstation sowie Serviceleistungen nach dem Baukastenprinzip (von der Reinigung über den Einkaufslieferservice bis zum Concierge-Service) sind die klassischen Vorteile, die Gäste in unseren Serviced Apartments schätzen können. Aber auch das Gefühl, einen Rückzugsort „in den eigenen vier Wänden“ zu haben, spielt eine maßgebliche Rolle für die Entscheidung für die alternative Wohnform in unseren Design-Apartments. Individualität in der Einrichtung – mit Liebe zum Detail und einem Mehr an Privatsphäre bieten höchsten Komfort. Unlimitiertes WLAN zum Nulltarif sowie alle technischen Features, die nötig sind, um schnell und jederzeit online gehen zu können, gehören zu Standard-Einrichtung der ÜberFluss Apartments. Im Dachgeschoss bilden Arbeitsbereiche, bequeme Sitzmöglichkeiten sowie eine kleine Kaffeebar zur individuellen Selbstbedienung eine gemütliche Lounge, in der sich die Gäste aus aller Welt kennenlernen und treffen können. Die Hotelannehmlichkeiten des Designhotel ÜberFluss, können mitgenutzt werden. House Rules ÜberFluss Apartments takes special requests – add in the next step! ÜberFluss Apartments accepts these cards and reserves the right to temporarily hold an amount prior to arrival. Please note, that the apartments are cleaned once a week during your stay. Please inform ÜberFluss Apartments of your expected arrival time in advance. You can use the Special Requests box when booking, or contact the property directly using the contact details in your confirmation. The only drawbacks are non functioning elevator and limited access to laundry facilities, which are nearing the stage of completion, as there are still a few ongoing renovations. The apartments are new and very modern. Located conveniently near the marketplace, close to tram stops and the central station. The staff are nice and accommodating. You get a great value for the money. Not knowing that I could go to the Überfluss Hotel to check in. Getting locked out when the exterior key reader stopped working. Not being able to turn off the thermostat to allow the room to cool down. The location was great and the arrangement and cleanliness of the apartment was excellent. The appartment building is not yet fully finished and it should be noted that both space and gym as well as breakfast are not in the same building, but in the hotel, which is approximately a 10-minute walk away. This is not a problem at all, but should be mentioned.